Measuring by Malcom Gladwell’s 10,000 hour rule, here’s how to judge our teams experience with these categories of skill sets. 3PRIME, LLC. approaches the broad field of Internet Marketing and Web Development with Professional expertise and unrivaled Dedication for Success. Employing a wide range of technical competencies, we are determined to make your Business thrive. At 3PRIME, LLC., a meaningful experience for our clientele is of the utmost importance. To that end, we are open with the technologies that are employed in our work, often posting code samples, tutorials, and entertainment. We are still here for people we served 8 years ago, and God-willing, we will be for everyone we serve today. If you would like to contact us for a quote, a general inquiry, or for our world-famous web consultation, please send us an email. “The web site is looking really good! I love the layout…compared to the competition it seems very user-friendly too…” Read more Testimonials here. Thought you would like this, January views are up 85% over same last year and clicks up 60%! The transition from a two platform site to a single responsive site seemed like an overwhelming task that would require intense internal support to pull off. 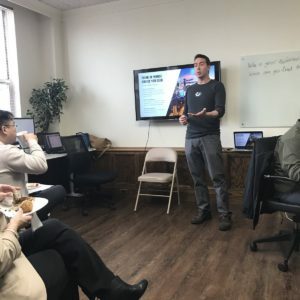 As a company with relatively few resources, in the area of web development, our greatest concern was that the work associated with the transition would absorb our capacity and impact day to day operations. Upon engaging with 3PRIME we found the entire process to be quite the contrary. We have been using 3Prime for our Website design, management, optimization and enhancement since 2012. Ryan Turner and his team of professionals have been excellent working partners. Tasks are performed quickly, in a quality manner with fair pricing. 3Prime is very efficient at working remotely, making on site visits unnecessary. I would recommend 3Prime to everyone in business who understands the importance today of Website management. We view the relationship as an extension of our company. I want to compliment you on the success we have had using your advice and techniques to move our company to the first page on Google using two different word searches. We continue to follow your advice and have maintained our excellent placement. I would like to express our thanks for the outstanding job that Ryan Turner of 3PRIME Web Solutions provides to our company. Ryan and his team of SEO specialists made it easy with their hands on professional approach. Since our website began we have had a very good success rate with the amount of new business and exposure our company has generated. You have always provided additional support when asked upon, and J.S. Steel Fabricators would recommend 3PRIME Web Solutions for anyone looking to create or enhance their website.